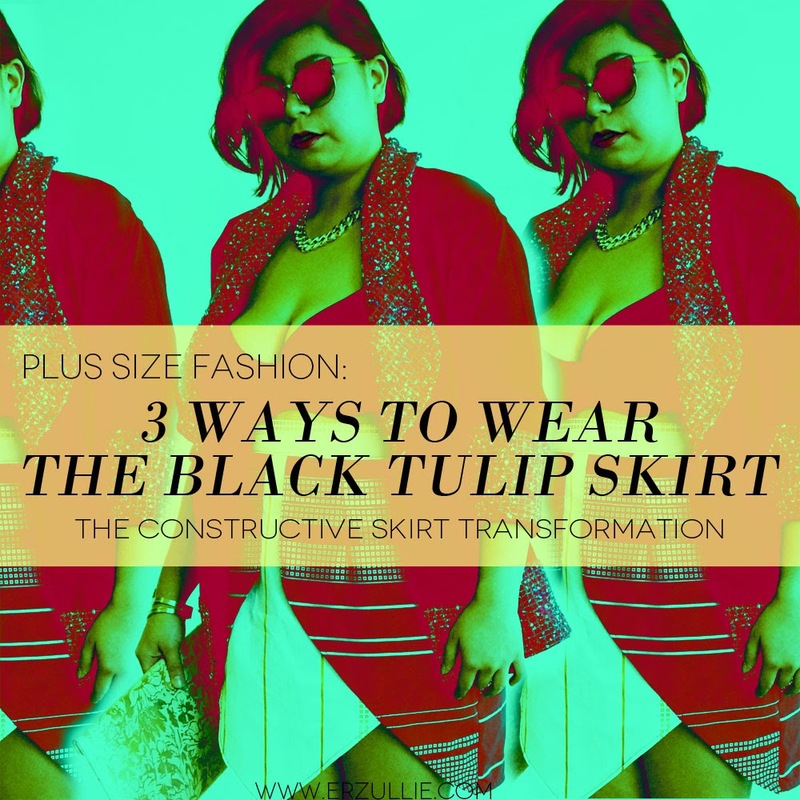 One of the best sellers in the collection, here are 3 ways to wear the black Erzullie Resort 2014 tulip skirt. Who is ready to rock the house with a very eccentric chic ensemble? 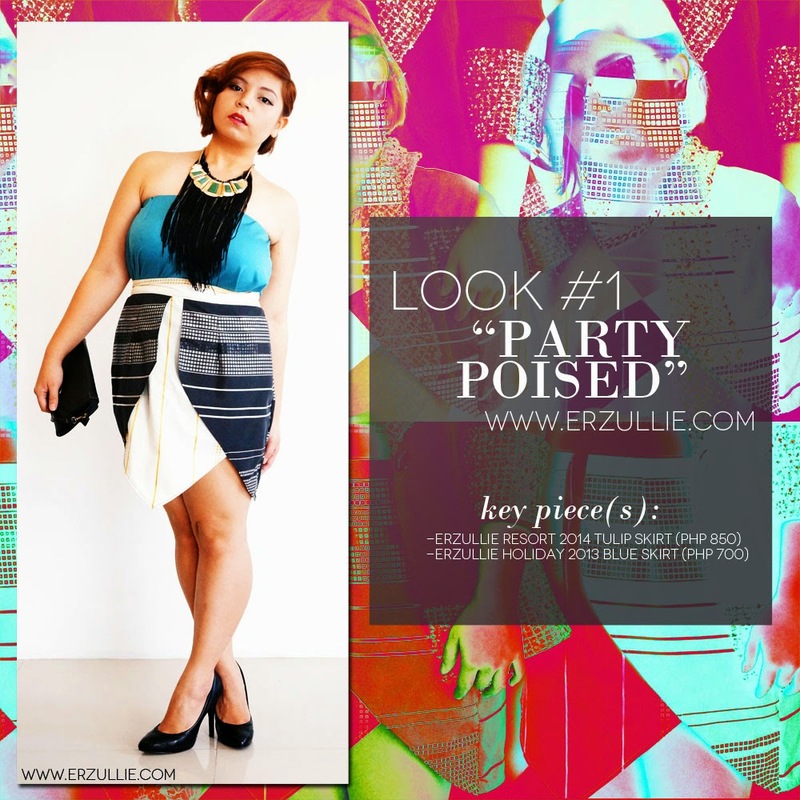 The Erzullie Resort 2014 tulip skirt is partnered with the Erzullie Holiday 2013 blue skirt (worn as a top). Adorned with layers of accessories, this ensemble is ready to party! Go all out with prints this summer. The balance of the contrasting prints in this ensemble is just enough to create a sweet summer style scandal. 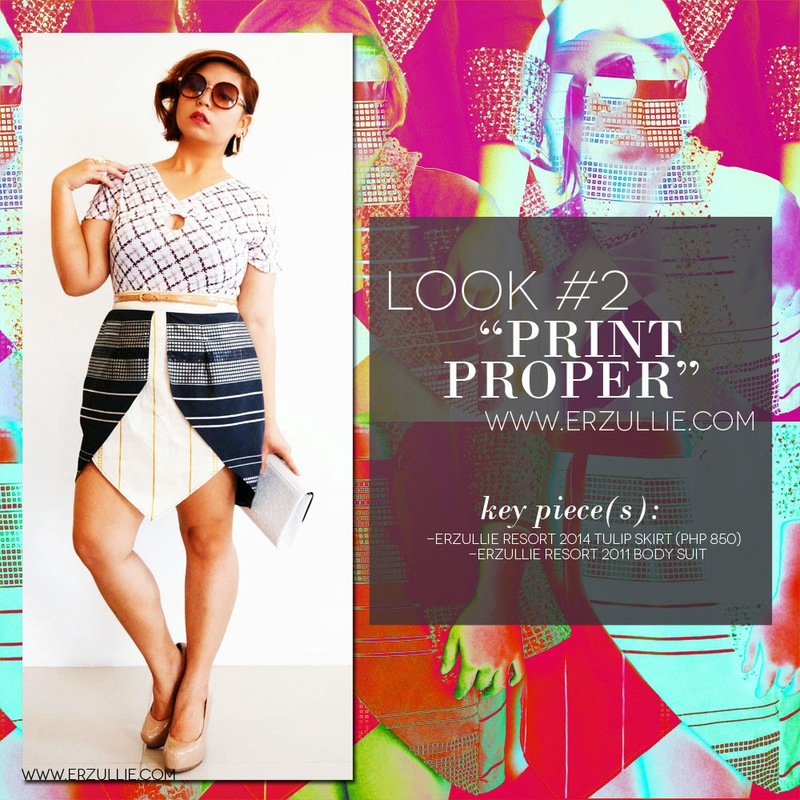 The Erzullie Resort 2014 tulip skirt is partnered with the Erzullie Resort 2011 body suit. Who runs the world? Girls. Who owns this room in particular? Erzulliestas! This outfit is composed of the Erzullie Resort 2014 tulip skirt and the Erzullie Corporate 2013 blazer.